•In-car media, including billboards and radio, reach the sum of American consumers on a regular basis. Ninety-eight percent of U.S. residents aged 18 or older have either driven or ridden in a vehicle in the past month and 93% of Americans have listened to AM/FM radio during the past week. •Americans spend nearly 20 hours in their cars per week and travel more than 200 miles. The average traveler aged 18 or older spends 18 hours and 31 minutes in his or her car per week and covers 224 miles. Key demographic groups including Persons 18 to 34 and Persons 25 to 54 average more time and miles in their cars. •Mega-milers are more likely to live in high-income households. Thirty-nine percent of megamilers (those who travel more than 150 miles per week) have a household income of $75,000 or more per year compared with 27% of average Americans (see Appendix A and B of this document). •Travelers take note of billboard advertising. Seventy-one percent of travelers often look at the messages on roadside billboards and more than one-third (37%) report looking at an outdoor ad each or most of the time they pass one. •Digital billboards are making headway nationally. More than half (55%) of travelers have noticed a digital roadside billboard in the past month and nearly one-third (32%) have noticed one in the past week. •Viewers learn a lot from billboard ads. Billboard viewers recall seeing a wide range of actionable information, including stores and restaurants they later visited, radio and TV programs they were interested in, events they wanted to attend or something funny they shared with friends later that day. •Transit advertising and street furniture expand outdoor advertising beyond billboards. Fifty-nine percent of travelers aged 18 or older have noticed a public bus, not including a school bus, in the past week and 39% have noticed an advertising message on a bus; nearly half (47%) noticed a bus stop, and taxi cabs have been spotted by 38% of travelers. •Billboard viewers see AM/FM radio remaining a significant part of their in-car media experience despite changes in audio technology. Ninety-three percent of Americans aged 18 or older listen to an AM or FM radio station for five minutes or more during an average week and more than eight in 10 (81%) billboard viewers agree they will continue to listen to AM/FM radio as much as they do now despite increasing advancements in technology. •Satellite and Internet radio round out the in-car broadcast media options. Twelve percent of billboard viewers report having a satellite radio subscription and 38% are very or somewhat interested in listening to Internet radio in the car. •More and more consumers are experimenting with new video platforms that affect their consumption of at-home TV commercials. Thirty-five percent of billboard viewers own a digital video recorder such as a TiVo®, which allows users to time shift programming and even avoid commercials entirely; an equal number have either rented a TV series on DVD or watched episodes On Demand through their cable or satellite TV providers. More than one in four viewers have watched a TV program over the Internet and more than one in 10 have downloaded a show from the Internet. •Billboard advertising is one of the last messages a consumer receives before making a buy decision. Nearly three-quarters of billboard viewers shop on their way home from work; more than two-thirds make their shopping decisions while in the car and more than one-third make the decision to stop at the store while on their way home at all times when billboard advertising has the opportunity to be influential. 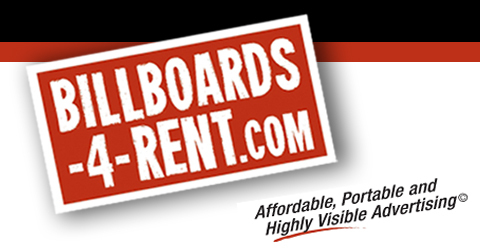 •Roadside billboards drive store traffic. Nearly one-quarter of billboard viewers say they were motivated to visit a particular store that day because of an outdoor ad message and nearly one third visited a retailer they saw on a billboard later that week. Half of viewers reported receiving directional information from a billboard and one-quarter said they immediately visited a business because of an outdoor ad message. The images and information contained are copyright and to not be copied, edited, or distributed without written permission of Billboards-4-Rent.com. For questions or concerns, contact our legal department at (866)845-7861.